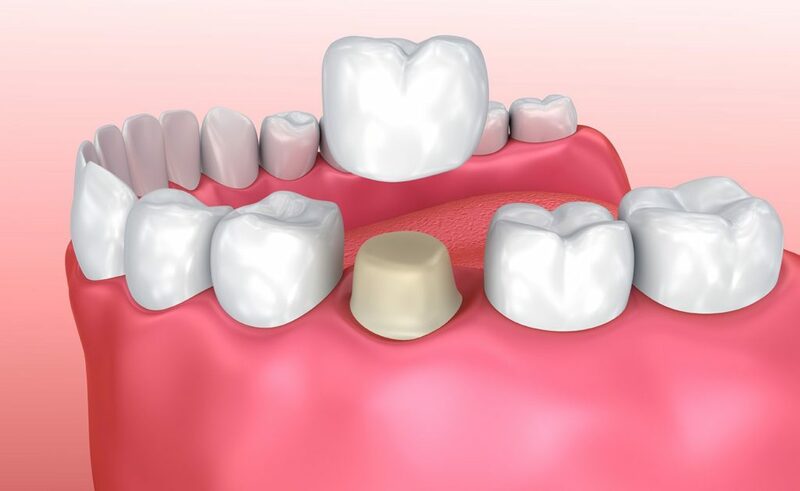 A dental crown is a tooth shaped restoration that covers or caps a tooth to restore it to its normal shape, size or alignment. A dental crown will strengthen and improve the appearance of a tooth. Crowns are cemented in place. A crown is used when a tooth is so badly damaged that a simple filling will not work. Park City Dental uses advanced techniques to ensure an accurate and comfortable fit for all dental crown work. Call today to schedule an appointment. Why is a dental crown used? Our dental office creates dental crowns that look like a natural tooth. They will take an impression to ensure the dental crown fits accurately and comfortably. A lot of different considerations are made when placing a crown. Our dentists will look at the color, bite, shape and length of your natural teeth to ensure the dental crown looks and feels natural. Generally, dental crowns have a lifespan of between five and 15 years. Some crowns last up to 25 or 30 years or even longer. Most insurance companies will pay if the crown needs to be replaced any time after five years. To prevent damaging or breaking the crown, avoid eating hard foods, ice or other hard objects. If teeth grinding is a problem you experience, ask our Wichita dentists about nighttime appliances that can be worn to protect your teeth and crown. Call Park City Dental today to discuss any questions you have about good dental health. We offer convenient hours and locations to serve the Park City and Wichita areas.